Today’s Friday Flyer is no stranger to our pages. In fact, we’ve interviewed him several times now, even though he’s not a real pilot. Why? Because he seems to keep getting mixed up in aviation-y trouble! For example, last year, we interviewed New York teen orphan Justin Reed, right after he and his adopted father Bob saved a hijacked Airbus A321! 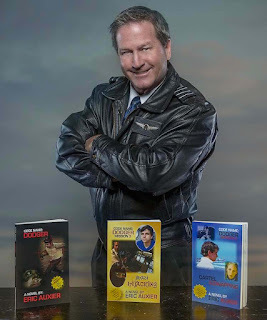 The amazing story was chronicled in “Code Name: Dodger Mission 3—Jihadi Hijacking,” written by our good friend Eric “Cap’n Aux” Auxier. Karlene: Welcome aboard, Justin. 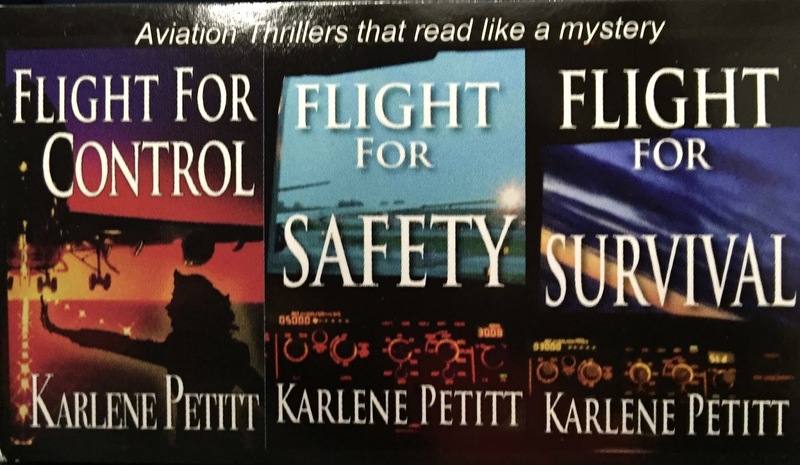 Wow, you just keep getting mixed up in inflight adventures, don’t you? Justin: Thanks, Karlene, it’s great to be here. And, after having escaped both the Korean Kkangpae and Japanese Yakuza, I must say, it’s great to be anywhere, LOL! 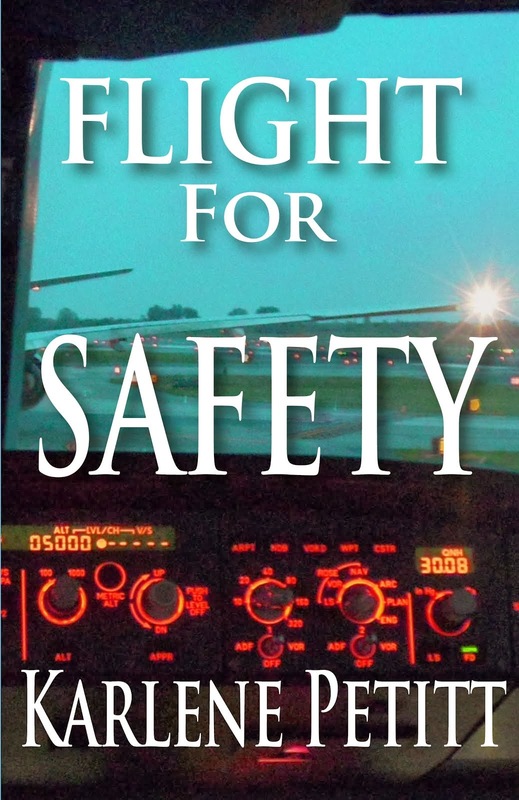 But, ya, its seems like I’ve had so many inflight adventures, you’d think the FAA would give me an honorary pilot’s license! Karlene: You gotta tell us, Justin, how did you escape? Inflight, no less? Justin: Well, I’d like to say I got to use all kinds of secret agent gizmos like James Bond would, but the truth is, I’m not a real agent. I was merely trained by the CIA to help trap the evil spy Pharaoh, who was after me. So, I had to resort to my CIA training, and my good ol’ orphan street smarts. Being handcuffed to the plane and guarded by two mafia thugs, it wasn’t easy! Karlene: Wow, can’t wait to read that part! Then what happened? Justin: Well, my adopted father Bob, now a secret agent of the über top secret ITA, or International Anti-Terrorist Agency, is also a psychologist. I’d been having these bizarre dreams about my mom’s death in the ocean when I was six, so he’d been probing my subconscious, trying to figure out what really happened. 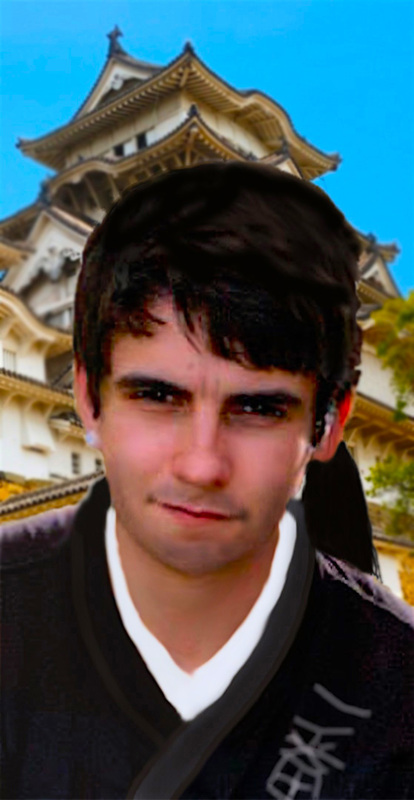 So, after I escaped my Korean kidnappers, I made my way to Japan, where I was born, to explore just that. Well, you know what they say, Be careful what you ask for: you may get it! I suddenly discovered the shocking truth of what really happened that day my mom died. To say it blew my mind to pieces would be an understatement. Karlene: I can imagine! Can you give us a hint about what happened? Justin: Well, you see, it’s like—um, . . . I’m dying to tell you the secret! But, I can say that the mystery surrounding her death had to do with the Japanese mafia, called the Yakuza. That’s why they were chasing me! 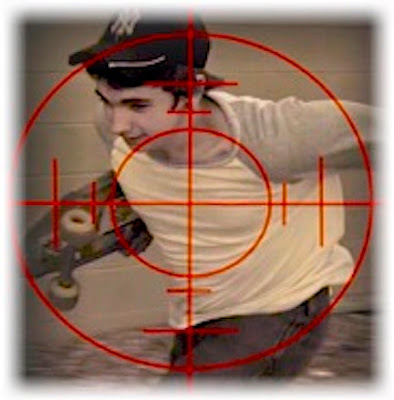 I gotta tell you, it took every ounce of my CIA training and street skills to outsmart them. Especially that deadly Japanese beauty they sent after me, Miki. Karlene: Uh oh. She sounds dangerous. Justin: Well, let’s just say she killed me with her charms! I’m only 15 now, but you know, hey, those hormones are raging, and I’m a sucker for love, just like anybody. Doesn’t matter how much training CIA gives you, you’re still only human. Karlene: Back to the aviation adventure. Every mission you’re on seems to involve airplanes. Justin: Ya, you got that right! 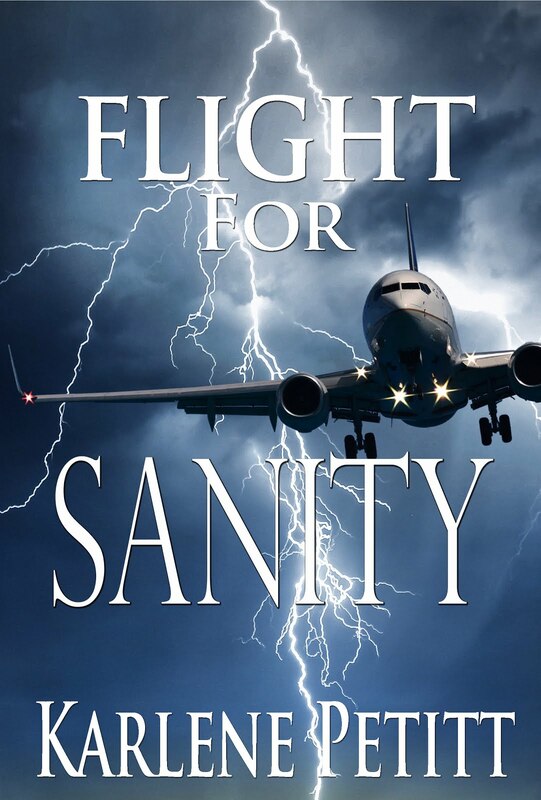 Either I’m trying to save an airliner from a hijacking, escaping on a plane, or trying to escape from a plane! 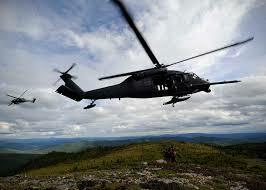 Or a helicopter. If you remember, I was chucked out of one mid-flight! That was chronicled in Mission 2—Cartel Kidnapping. Karlene: Well, it sounds like your latest mission has plenty of adventures, both in the sky and on the ground. Justin: No kidding! Now that I’m back home and on terra firma, I’m hoping to start my sophomore year in high school without any more, uh, clandestine or aeronautical complications! Karlene: Best of luck with that. Thanks for joining us today, Justin. Justin: It was fun, Karlene! And, be sure to check out my new Mission, Yakuza Dynasty, releasing October 5th! Note: In celebration of the release of Mission 4—Yakuza Dynasty, Justin’s previous missions are being offered either FREE or on Amazon kindle countdown, from October 1-5! 10/1-5; the earlier you buy it, the more you save! My friend Captain Wright sent me this story. I loved it, and thought you would too! “Earlier in his career John had been a Bristol Bay commercial fisherman with a salmon permit for Eggegik (a harbor in Bristol Bay). 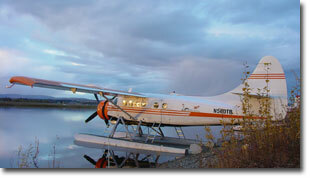 The nearest “civilization” was King Salmon where they commuted to and from in various charter aircraft. 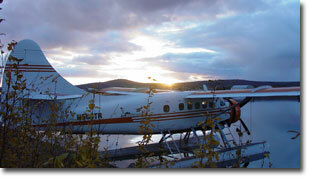 On the trip in question the aircraft was a Cessna Caravan with CP propeller. Somewhere approaching King Salmon the gear assembly in the CP propeller decided it needed a rest which effectively converted the Caravan into a glider. The occurrence, being a great stimulant of situational awareness, put both the pilot and John in search of a suitable landing spot. The choices more or less narrowed down to a river or a sandbar in the river. 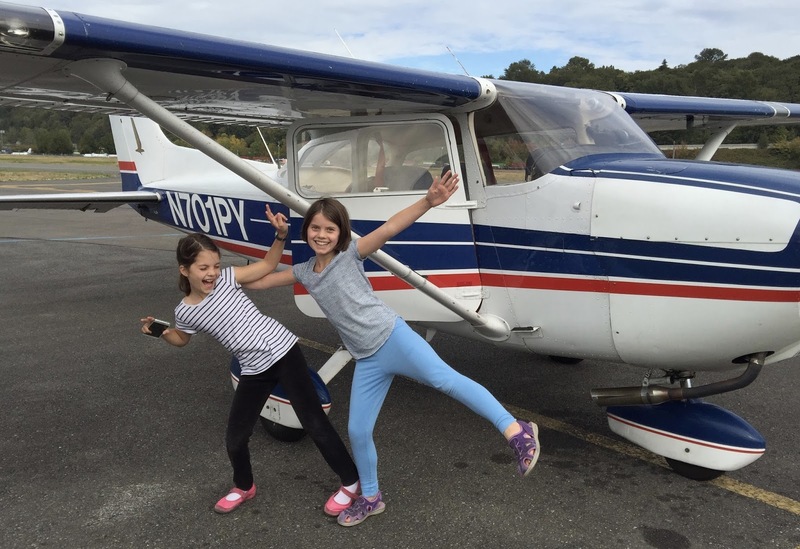 Choosing the sandbar, they made a successful landing although it was appearing that the plane would reach two large clumps of grass and tree trunks before stopping – which it did. The end result was that the fuselage made it between the obstructions but the wings did not. Having had time to broadcast a “mayday”, a helicopter from the nearby King Salmon Air Force Base was on site to rescue and medivac them back to town. Fast forward to the next year’s salmon season. This weekend a great group of people pulled off an amazing feat at The Museum of Flight Seattle! 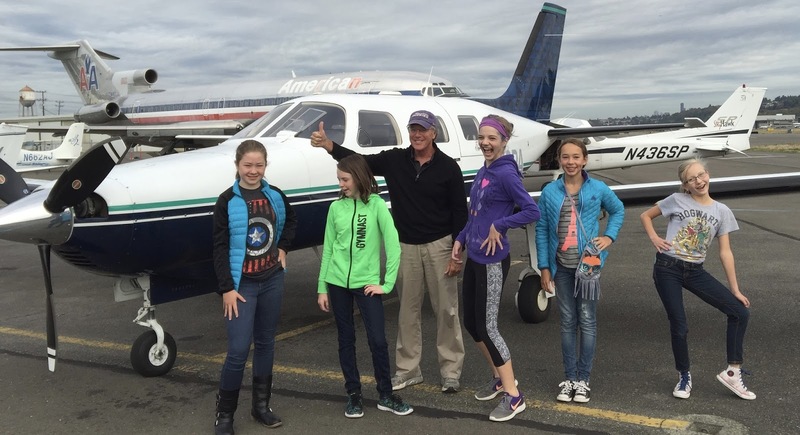 They shared their love of aviation by giving their time at a great expense to the young ladies of the Seattle area. We had an incredible two days, as did the girls. I'm thinking we flew close to 300 young ladies. 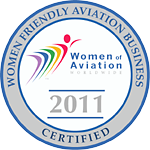 Women holding a certificate for hire (commercial) account for 5.15% of the pilot population, the truth is that only about 4.3% of women are actually working as a pilots. Yesterday we heard someone ask how are we going to increase those numbers? We do it by exposing the young ladies to the joy of the sky and sparking their interest. and people with big hearts! If you are dropping by to find your photos (links will be at the bottom of the page), take a moment and see if you can find your pilot. A message to them would be so much appreciated. To my awesome ground crew. Day one Mark Berney joined us when he learned his airplane was down for maintenance. But he drove all the way out for ground support. And Sandy and Emma... what can I say, you ladies are awesome! And the second day Sandy and Emma came back for more. We were so busy on day two, that we were all in continual motion. I cannot thank these incredible women who were there from morning to night. They were on their feet from 830 to 530 two days in a row, running, scheduling, laughing, sharing stories and entertaining the kids (and me). And then waited for our last pilot (Jim) to bring our final flight in on Sunday night, as I slipped off at 5 p.m. for my granddaughter's 6th birthday dinner. We have to make a special mention for Dan. No... we didn't really keep him locked in a cage. He joined us on behalf of Embry-Riddle Aeronautical University, as he always does, to support the women fliers. 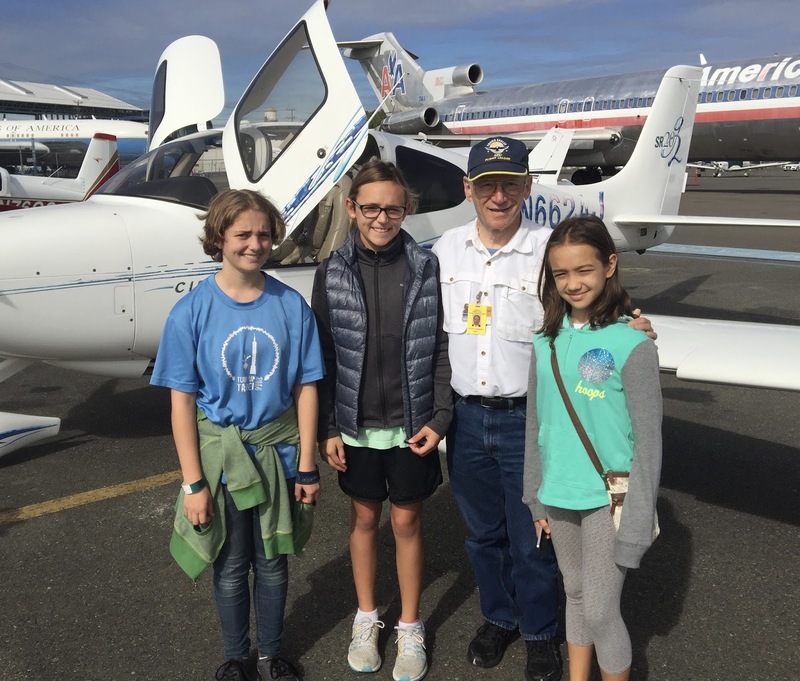 Dan brought toys for the kids, information about flying, ERAU, water for the workers, solar battery chargers for our dying phones, and spent his weekend running, helping kids to and from the aircraft, guiding planes, and assisting the mission with anything we needed. 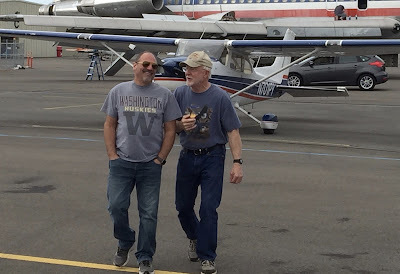 Chris came over both days to brief our pilots, and then the folks in the tower were more than accommodating and helped to make this a huge success! We could not do this without you! Our goal was to share the love of flight and spark a dream toward the sky. 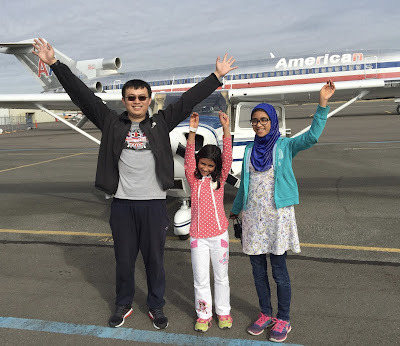 That First Flight can change a life. Thus, this time we were keeping track of how many girls came back from their flights wanting to fly. 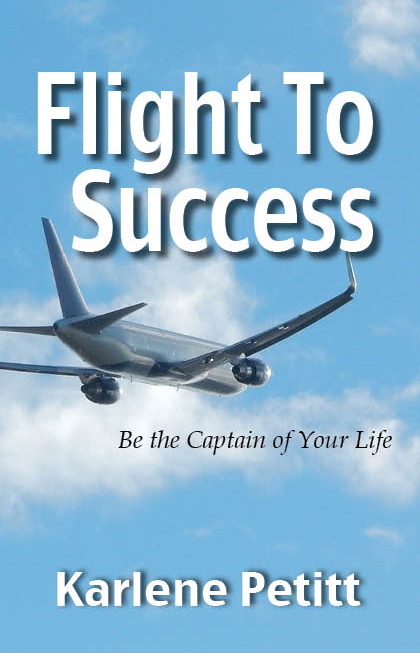 I gave a Flight To Success Be the Captain of Your Life book to each girl who declared, "I'm going to be a pilot". I gave out 30 books! Trust me there were dozens more that said, "I'm thinking about it." If I hadn't ran out of books I would have given one to all of them! making this event a huge success! Oh...and the one photo I keep forgetting to take is the man behind organizing this event. The mystery man is Cale Wilcox. We could not pull this off without him putting this day in motion too. Now what you have all been looking for... Photos of your children! Click on the links below to find your child's photos. And please feel free to leave your pilots a comment below. Where do I begin for such an incredible awe inspiring woman? 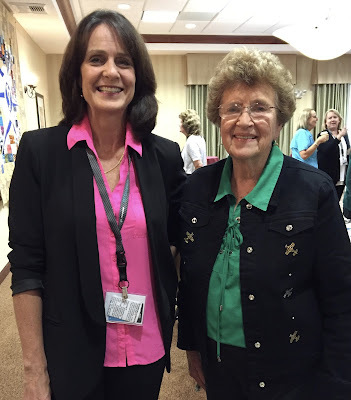 Last weekend at the 99 Northwest Conference where I had the most fortunate opportunity to meet Gene Nora? Or was it during the banquet when they bestowed the prestigious Governors Achievement Award for her outstanding commitment to aviation? 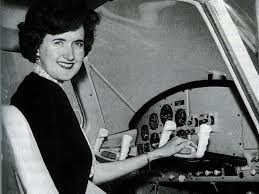 Actually... let's step back in time to 1960 where she was working her way through college as a flight instructor, on staff at the University of Oklahoma. But the excitement really began when she became part of the Mercury 13! 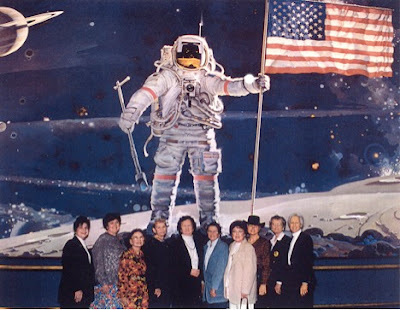 So the story began, that Dr. Lovelace was running a research clinic in Albuquerque where he would be testing women for an astronaut program. Thus Gene Nora wrote to him, and he invited her to come on down and test. She was one of the 13 women, out of 25, who passed testing. Thus, Mercury 13 was so named for the 13 surviving candidates. She was headed for phase II. The fact she never met Dr. Lovelace, or was never actually told she was in an astronaut program, some considered this as nothing but research. Yet, she quit her job at the University in the Fall of 1961, to continue testing with phase II of "research", but a few days later the program was cancelled. 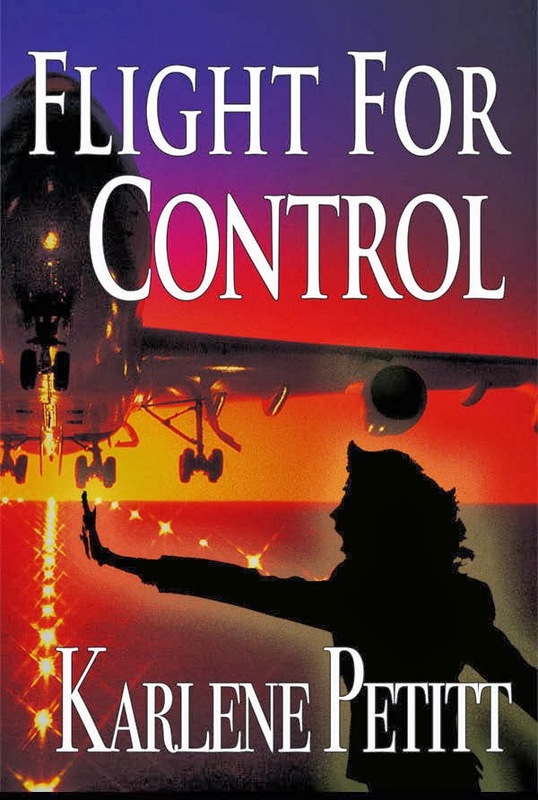 Out of a job and her chance to fly to space she took a job as a flight instructor in 1962, the best flying job she could find as a woman. Yet...the story doesn't end there. She gets the job of a lifetime. Seriously... Beechcraft hired her as a sales demonstration pilot of their Musketeer. 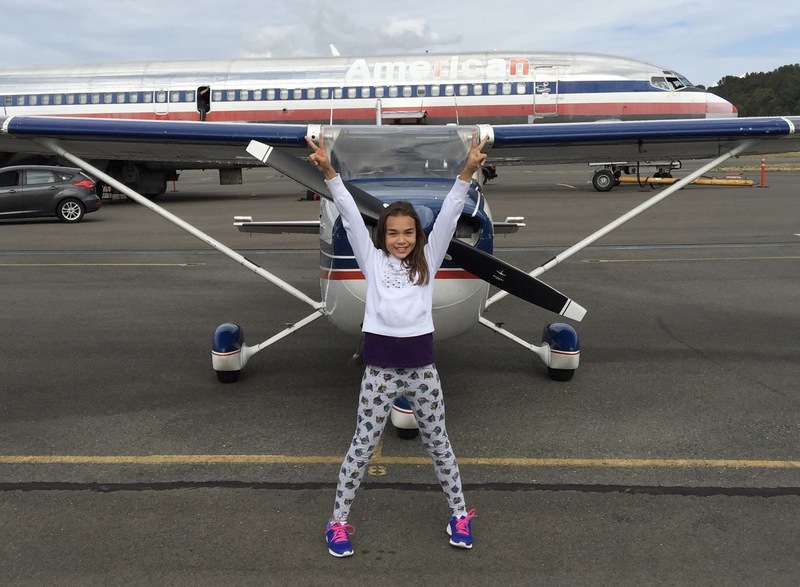 She would fly a 90-day 3 airplane formation across the 48-contiguous states. Now, I'm not going to tell you more about this adventure because you have to read the book. Seriously... she wrote a book of this exciting duty The Fabulous Flight of the Three Musketeers. And it's great! Not only is Gene Nora a brilliant author, but her story is amazing and the history of the Beech Musketeer is fascinating. I had no idea why that plane came into being, or the challenges of what it took to climb into a new model aircraft that you have never flown, in your high heels and a dress, and teach yourself how to fly formation. 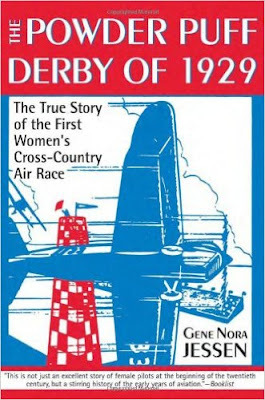 You will love this book as much as I, and understand why Gene Nora is one of the aviation greats. The Fabulous Flight of the Three Musketeers. 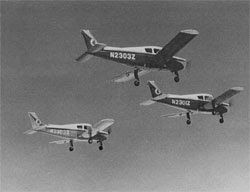 Not only did Beech give Gene Nora the job of a lifetime, but they gave her additional ratings that enabled her to fly the entire Beech line, but that's where she met her husband Bob Jessen. 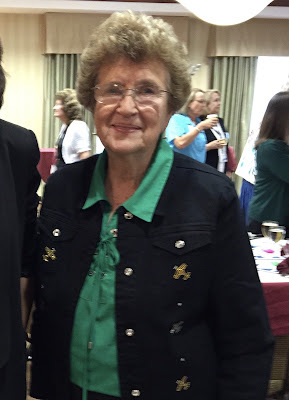 Bob had been a WWII B29 pilot and she met him as a Beech regional sales manager. 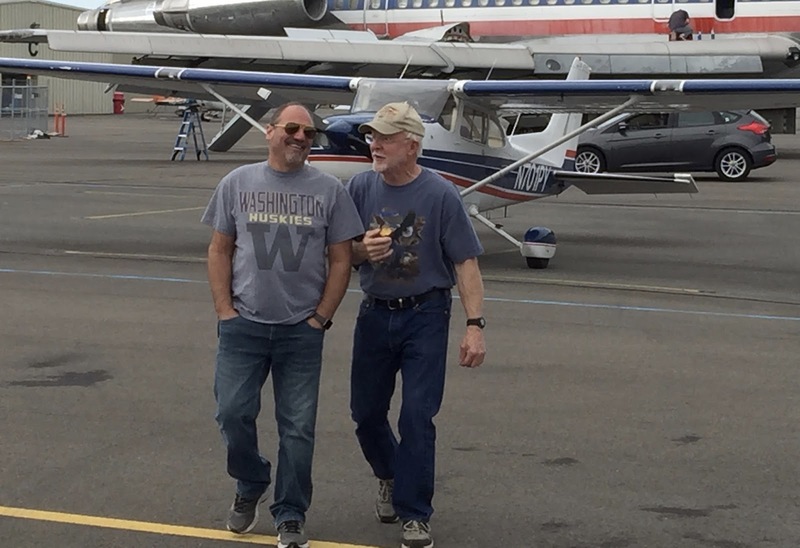 They moved to Boise Idaho, where they raised their two children, owned a Beech dealership, ran an FBO and I think last I heard they've been married 51 years and counting. Gene Nora also wrote a book about the first Powder Puff Derby. The Powder Puff Derby of 1929. 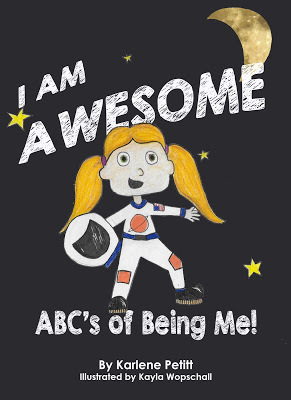 I think we all need to read this book, as Angelina Joli purchased the movie rights. The movie has not been made yet, but I for one am waiting for it. She is also an avid speaker, and will delight any audience, and has on many occasions. 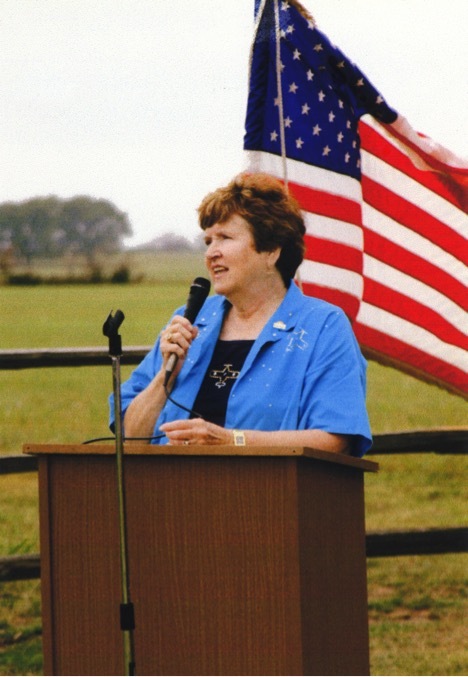 Of her many accomplishments she has been the president of the Ninety-Nines, served on numerous community boards, and participated in founding two aviation museums. 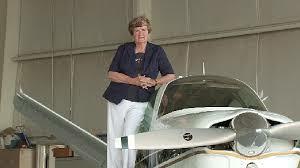 Not to mention, she has flown many air race classic races (ARC) the modern day Powder Puff Derby, and she still flies! I also don't think I have laughed so hard at an aviation story, as listening to Gene Nora and Patty Pilot (retired United pilot) share their story about flying to the most recent ARC banquet. Then I heard Gene Nora had a third book Amelia Was Right. What was Amelia Right about? Well, Amelia Earhart wrote a book titled Flying is Fun. 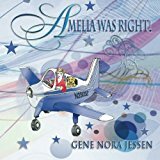 And Gene Nora has stories to prove that she was right... and they are in the Amelia Was Right book! I will order this book as well, and then make a point to go find Gene Nora for the autograph on those, too. I hear she hangs out at airports. 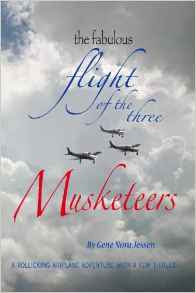 I absolutely love The Fabulous Flight of the Three Musketeers, and I am sure the others will be as incredible. 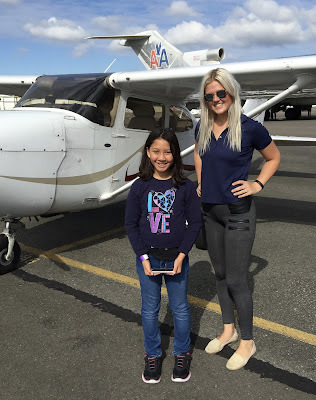 This aviation community is small and filled with incredible people who are helping others to earn their wings, or gifting them the love of flight. Gene Nora is one such a woman. She has the heart and soul of an aviator with the passion for flight, and continues to share her love of flight with the world. And she will make you smile. 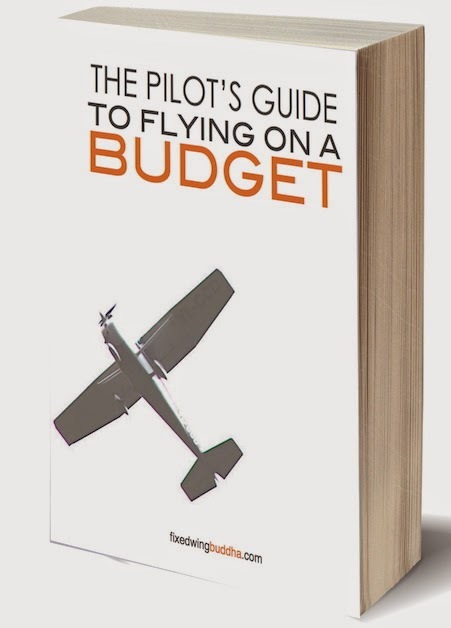 Gift one of her books to yourself, and to those you want to share a bit of aviation history and your passion of flight with. It was such an honor to meet Gene Nora! After you begin reading, you'll feel like you know her too!